SimplyCook has around 80 incredible recipes in its cookbook and the number just keeps on rising. What they all have in common is that they take just 15-20 minutes to make, they require only 4-6 ingredients, they make use of the special, professionally crafted flavor blends you get in your recipe boxes, and of course, they are downright delicious. This time, we will give you a taste of what is waiting for you in the SimplyCook vegetarian cookbook. 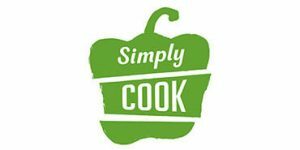 SimplyCook vegetarian recipes range from extremely comforting to incredibly light and refreshing. If you are craving something rich and packed with flavors, you can try the likes of Moroccan spiced stew, piquant Iranian vegetable curry, and the exciting shakshouka. 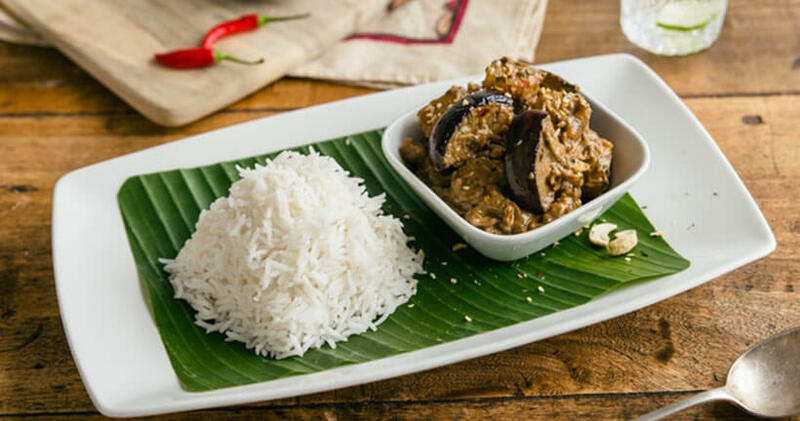 If you want to try something delicate and nutrient-packed, you can check out lovely recipes like Thai green curry, grilled halloumi salad, creamy mushroom Stroganoff, Goan cauliflower curry or Bombay vegetable biryani. Currently, there are more than 20 vegetarian recipes available and the selection is constantly expanded to include more delicious veggie recipes from different world cuisines. Now that you know what kind of recipes you can expect, we will go into more detail regarding the preparation process itself and everything you need to turn these great vegetarian meal ideas into reality. With your recipe box, you get 4 recipes selected by a professional chef or recipes of your choice, as well as amazing flavor blends. These may include specialty vegetable stocks, garnishes, herb and spice blends, infused oils, culinary pastes, and other flavor boosters. The recipes include only a couple of steps, which is to be expected since the time you need to prepare the meals is no more than 20 minutes. What you do not get are the fresh ingredients you need to prepare the meals. However, you do get detailed shopping lists with every recipe, indicating the necessary ingredients and the exact quantities for 2-4 people. Therefore, all you need to do is stop by your local store and pick up the groceries you need and you can start cooking. You can view the shopping lists before you receive your box, so you can prepare the ingredients in advance. You may notice that the ingredients SimplyCook vegetarian recipes call for are never hard to find and include the most basic of products. What makes the meals unique and impressive are the handcrafted blends you get in your box, which highlight the natural flavors of the ingredients and add some exciting extra flavors coming from the numerous fragrant spices, herbs, and other wonders they contain. A single blend may feature up to 18 different ingredients, so you can imagine the abundance of flavors they pack. If you are an adventurous vegetarian in love with international cuisines, we warmly recommend SimplyCook vegetarian recipes. They can broaden your culinary horizons, wow your taste buds, and make you feel like the best chef on the planet. Plus, the prices are suitable for virtually any budget, so you can enjoy the ultimate home cooking and dining experience without spending more than you normally do when cooking for yourself and your family and friends. SimplyCook lets you in on the little secrets of professional chefs. It brings you handcrafted flavor blends that make every meal shine and amazingly quick recipes that allow you to spend less time preparing your meals than you ever imagined possible. 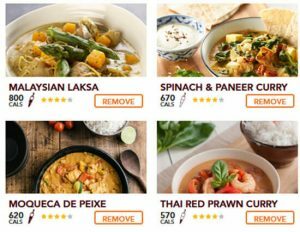 Read our SimplyCook review to find out more about this truly unique recipe box delivery service.